THE GOVERNMENT HAS approved a scheme which could allow up to 5,000 people from outside the European Economic Area (EEA), who originally came to Ireland to study, to remain in Ireland to work. The scheme would apply to people who came to Ireland to study between January 2005 and December 2010 and stayed on to work. This move follows a Supreme Court judgement that former holders of student permission were entitled to have their family and privacy rights under the European Convention on Human Rights taken into account as part of their application to remain. Court challenges were taken after the introduction of a new study policy in 2011 which meant non-EEA students could only live in Ireland for a maximum of seven years. The government introduced this new policy to address abuses of the student immigration system and, in particular, the English language sector where in some cases students were being enrolled over long periods of time without quality courses being provided. In the court challenges, two former students sought permission to change their status allowing them to work and receive social welfare payments. In one case, a woman’s two children had joined her in Ireland and in the second case a man married another non-national in Ireland and they had a child here together. The court found that in both cases the State had allowed the applicants to stay in Ireland without objection until the law changed and that their rights under Article 8 of the European Convention on Human Rights should have been considered. 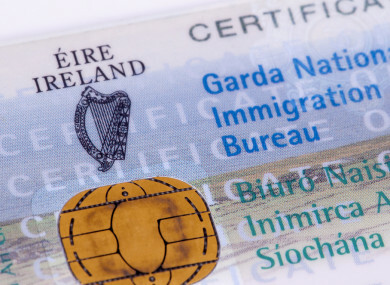 The Irish National Immigration Service (INIS) estimates that around 3,500 to 5,500 non-EEA nationals may be eligible to apply for the new scheme which will allow a cohort who came to Ireland to study between January 2005 and December 2010 to apply for permission to remain in the State. It will be similar to a former scheme which operated in 2011 for students who were already in the State prior to 2005. Details of the scheme are expected to be published by INIS in the coming weeks. Email “New scheme could allow up to 5,500 non-EEA nationals remain in Ireland to work”. Feedback on “New scheme could allow up to 5,500 non-EEA nationals remain in Ireland to work”.